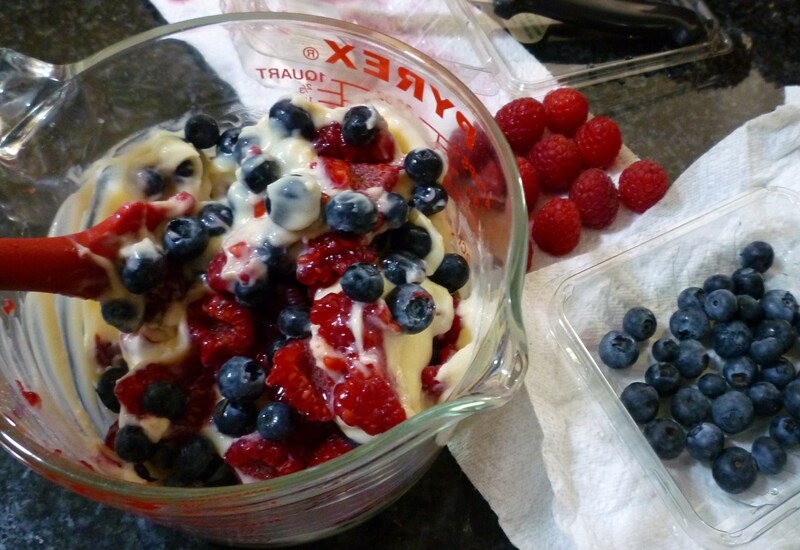 I went to the grocery store yesterday … so many berries are in season right now and on sale … buy one, get one free! 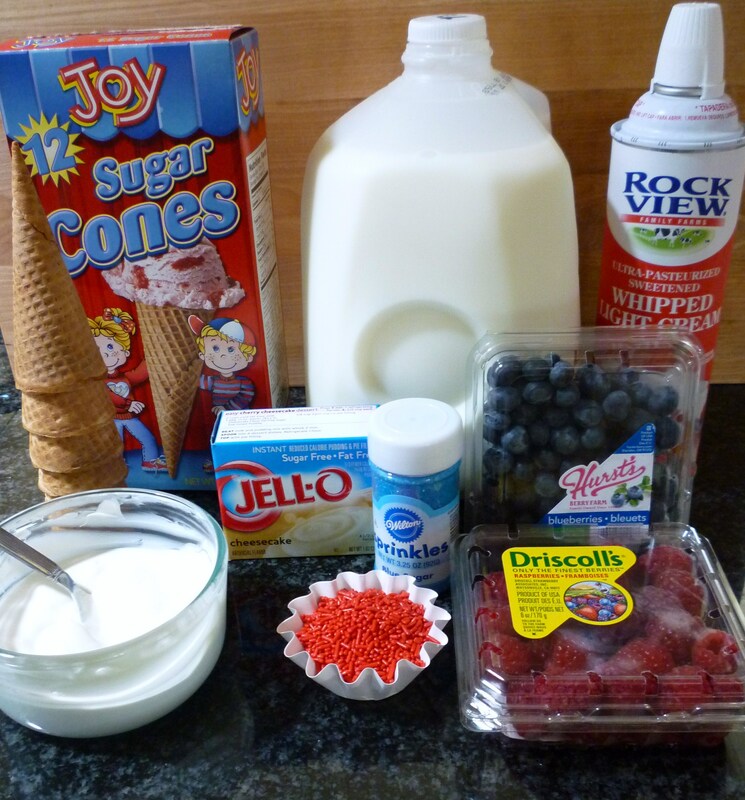 Red, white & blueberry cones were about to be created. 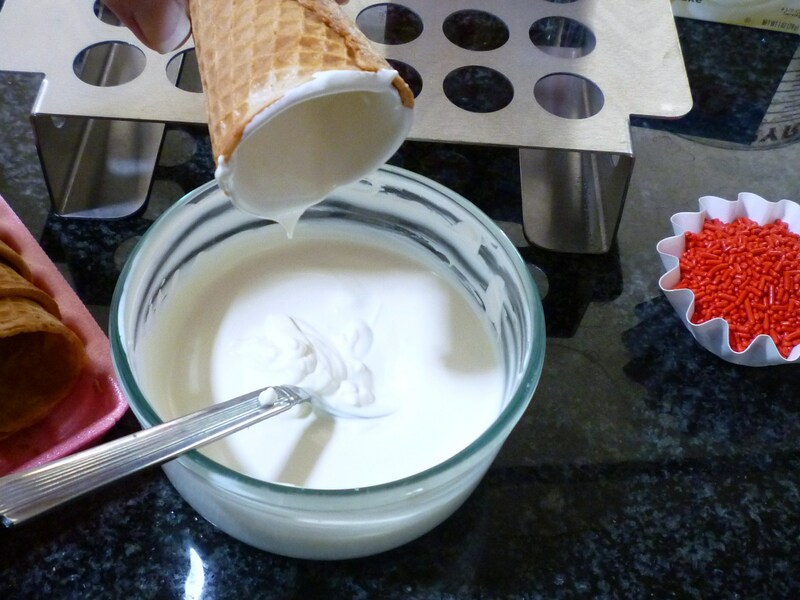 This is a very simple dessert and can be made early in the day and stored in the fridge until you are ready to serve it. 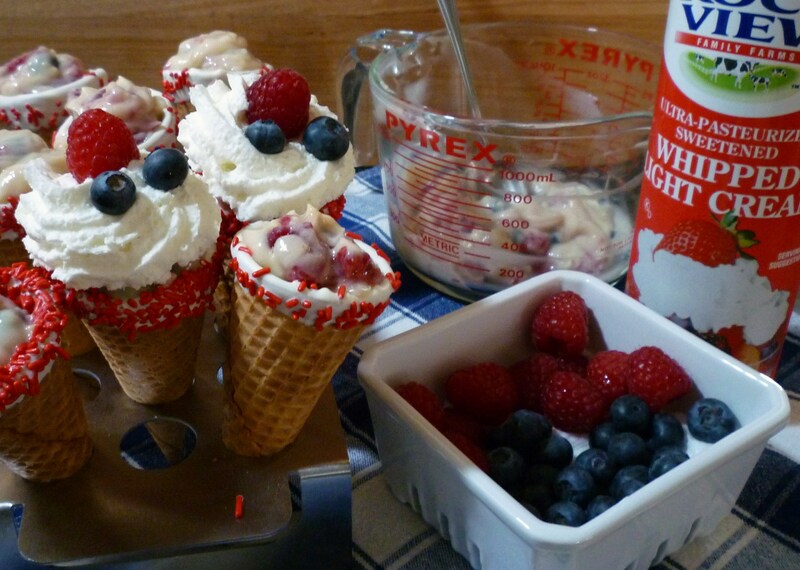 Perfect for a 4th of July gathering! 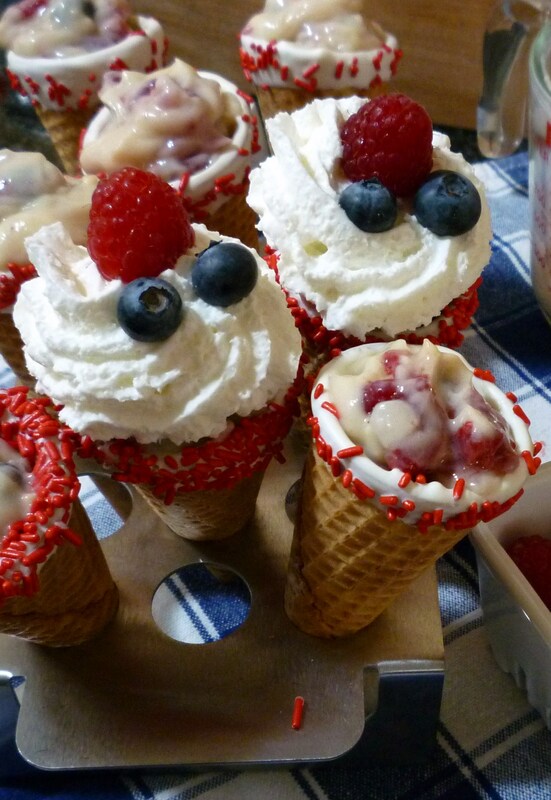 My honest opinion … I think these are great without pudding … just berries (a little sugar if needed) in a chocolate coated cone and topped with whipped cream … I added the pudding to make the family happy. I am looking forward to your honest opinions! 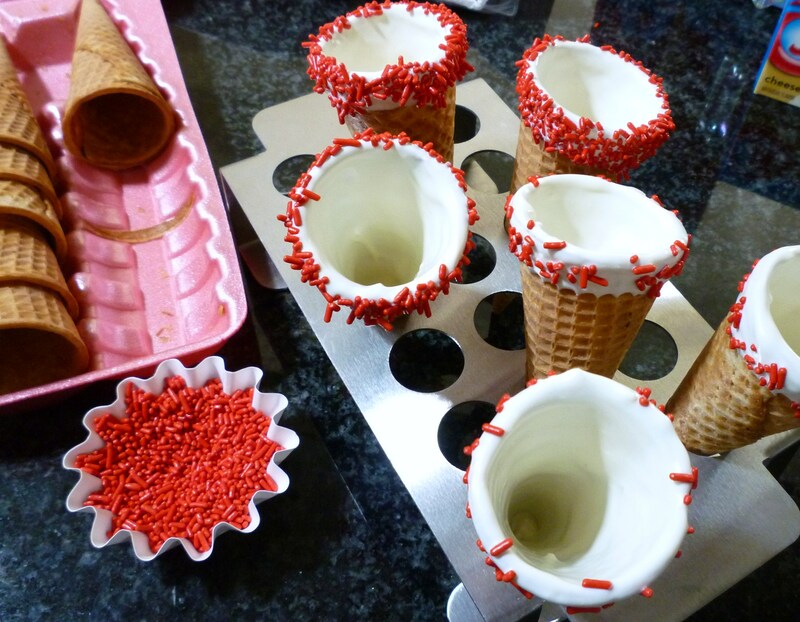 These cones look so cute and sound really yummy! I would leave the pudding out of mine. Very creative on the holder! These are so adorable…everyone would love them and truly simple to do. I think I will run out and get the ingredients right now. Great job! These cones sound wonderful. I think with ice-cream would be delicious. These look super yummy! Can’t wait to try them! Thanks for sharing.